Welcome to TV Drama Vision 2019! What are the TV world’s disparate commissioners currently looking for? Which shows cut through the noise and impact audiences? How can creators build sustainable businesses while challenging themselves creatively? These are some of the challenges and questions. We are proud to present a keynote interview on stage with the multi award winning British television writer, producer and director Sally Wainwright, focusing on her career and the art of writing for television. In collaboration with SVT and MediaXChange. Jon Plowman is a BAFTA winning RTS Fellow, legendary comedy producer and BBC executive responsible for shows like Absolutely Fabulous and The Office. In a keynote interview we look back at his 30-year career and try to find the secret behind producing a global comedy hit on TV. In collaboration with MediaXChange. Meet Netflix’s Lina Bronéus, Director of Co-Productions & Acquisitions, in a keynote talk about the growing importance of the international markets for Netflix and the company’s plans for the Nordics. Italian drama is enjoying new levels of global interest as the wave of high end drama series travels the world and finds new audiences. We are delighted to welcome two of Italy’s top producers, Nicola Serra, Managing Director of Palomar and Marco Chimenz, Co-CEO of Cattleya to talk about their their upcoming slates and the trends in Italian drama. Meet Rikke Ennis, CEO, and Helene Aurø, Sales and Marketing Director, from Scandinavia’s new hot company REInvent Studios, and listen to talk them about their business concept, upcoming slate and view of the current market. Gazing towards the horizon, we welcome key content players from the Nordics on stage to present new and upcoming series, the stories they are hoping to find and their plans for the future. This year we meet Katrine Vogelsang, Head of Fiction at TV2 Denmark, Ulf Synnerholm, Executive producer of scripted programming at TV4/CMORE, Ivar Köhn, Head of Drama at NRK, Hanne Palmqvist, Commissioning Editor at HBO, Fredrik Ljungberg, Programme Director at Viaplay, Christian Rank, Head of Drama at DR, Anna Croneman, Head of Programme Film & TV drama at SVT and Liselott Forsman, Executive Producer of International Projects at YLE Drama. We will also hosts a longer session with Laura Kuulasma, Acquisitions Executive from Elisa Viihde. 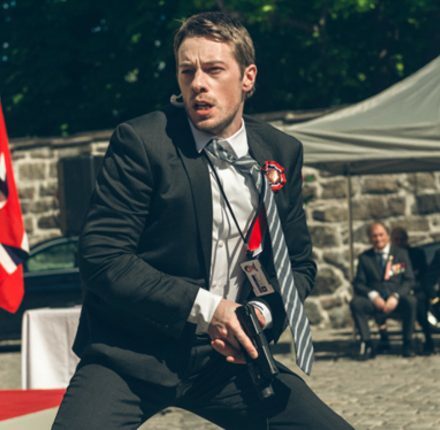 Drama Series Days at the European Film Market presents the latest news on their upcoming edition, with Norway as the country in focus, CineLink Drama at Sarajevo Film Festival presents Anatomy of a Crime(Serbia), and Series Mania presents We Got This (Sweden). In our Spotlight on Italy we take a look at what’s coming out of Italy guided by our keynote guests Nicola Serra from Palomar and Marco Chimenz from Cattleya, and our Estonian neighbours present a case study of Pank as well as their series in development The Party. 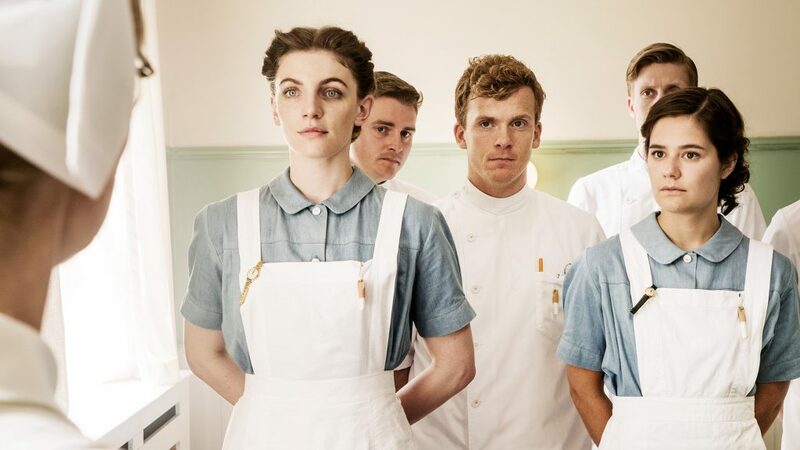 Six new Nordic drama series compete for the NOK 200,000 Nordisk Film & TV Fond Prize 2019. At TV Drama Vision we will meet our prestigious jury as well as the nominated screenwriters on stage to present their series and talk about the art of writing a successful drama. Targeting the creative process of storytelling in episodic drama, we meet the acclaimed Swedish writers Malin Giolito Persson, Johannes Anyuru, Helena von Zweigberk for the first time entering the world of television after participating in SVT’s 12-month writing programme. In collaboration with SVT and MediaXChange. In early 2018 Nordic pubcasters formed the alliance N12 within five Nordic countries with the aim to co-produce at least 12 drama series per year. Soon after German ZDF, Franceench Télévision and Italian RAI joined forces and formed The Alliance. What is changing in the European co-production market from a broadcaster’s’ point of view? Liselott Forsman is the Executive Producer of International Drama at YLE and the Head of Fiction Experts at EBU (The European Broadcasting Union). Change in the world of episodic drama is accelerating thanks to the global expansion of the mega platforms, shifting fortunes at public broadcasters, and local streaming services on the rise. At Nostradamus’ session during TV Drama Vision the report’s analyst and moderator Johanna Koljonen will give us highlights from the Upcoming Nostradamus Report. Armando Iannucci, the creator of HBO’s award-winning series Veep, will start off our seminar. With his extensive background in creating both scripted and non-scripted shows at BBC, he will talk about the creation and importance of political satire. Brian Pearson, Director International Originals at Netflix, will elaborate on the global streaming service’s plans regarding original content for the Nordic region and beyond. Have we reached peak TV or will new money keep flowing? Can Nordic content continue to travel, and will the interest in original local content remain strong in an increasingly global market? Three of the experts interviewed in this year’s Nostradamus report talk with Johanna Koljonen about the future of the TV landscape. Now that the original Bron is airing its fourth and final season, it is time for a definitive take on this Nordic series that conquered the world. We take a look at the massive audience engagement, the making and importance of the series and the many remakes that have followed in its footsteps. 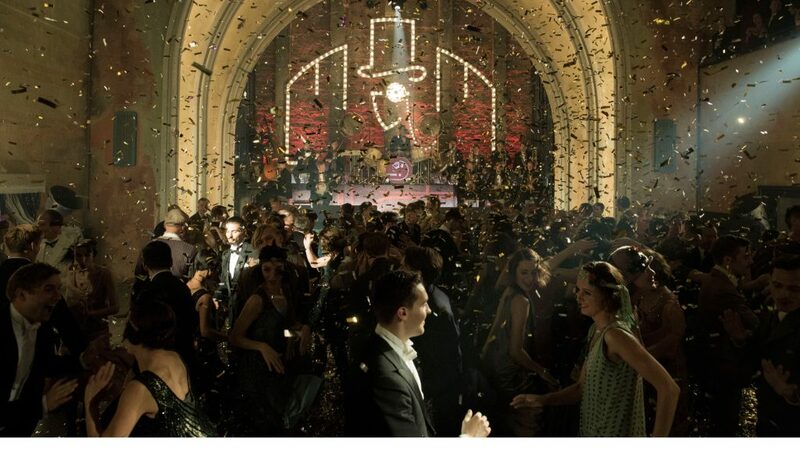 The financing of drama series is in constant change. At this session we go through different future funding models and take a closer look at the structure of upcoming Swedish arms trade thriller Conspiracy of Silence (Brain Academy for Viaplay). Participants: Fredrik Zander, Senior Executive Producer, Chimney LA Inc, Daniel Lägersten, Producer, Brain Academy, Nicola Söderlund, Managing Partner, Eccho Rights, Christian Wikander, Director Co-Production, Twelve Town. Furthermore case studies, works in progress and works in development from amongst others the Nordic countries, Germany, Lithuania, Spain and Serbia as well as a showcase of tens of upcoming Nordic drama series. The upcoming talent lab Moving on to TV series by SVT and MediaXChange will be presented along with fresh news from the region. Producer and executive Anne Thomopoulos, formerly Senior Vice President at HBO, was an instrumental part of creating the quality drama brand that is now HBO. She started the drama series department by developing Oz, HBO’s first one-hour drama series. Subsequently, she established the acclaimed miniseries division, including Emmy winning series like Band of Brothers and Generation Kill. In an in-depth interview, she will tell us of these formative years at HBO as well as what it takes to get lavish and expensive historical dramas like Rome, Borgia and Versailles off the ground. Presented in collaboration with MediaXchange with support from Chimney. Nordic drama production and viewing is changing drastically with streaming services becoming major players. Sharing their strategies and upcoming plans, Fredrik Ljungberg, Program Director at Viaplay and Hanne Palmquist, Commissioning Editor and VP at HBO Nordic, tell us what kind of stories they are looking for. Joining them in a discussion on the changing landscape of Nordic drama is Christian Wikander (former Head of Drama at SVT), Director Co-production, Pinewood Television UK as well as Anne Thomopoulos. With drama series like Chaussee D´Amour, about a woman who inherits a brothel – Beau Séjour, a murder story told from the dead girl´s perspective and Tytgat Chocolat (Team Chocolate), a love story amongst mentally challenged workers at a chocolate factory, production company De Mensen is making the eyes of the drama world turn towards Belgium. Pieter Van Huyck, Head of Scripted, takes us through the creative process of making unique dramas and helps us understand the way drama production works in the Benelux region. Everyone wants the process towards greenlighting a project to be creative and successful both for the commissioners and the producers, but how to do it? We have asked Nordic producers and commissioners and will be discussing the results together with commissioners Ivar Köhn, Head of Drama, NRK, Kristian Hoberstorfer, Deputy Head of Drama, SVT, Liselott Forsman, Executive Producer of International Co-productions, YLE and Katrine Vogelsang, Head of Fiction, TV2 Denmark. Göteborg Film Festival and Nordisk Film & TV Fond are proud to present a new award for Best TV Drama Script worth 200,000 SEK. The writers of the 5-8 TV dramas selected at the festival’s Nordiskt ljus: Tv-drama section is eligible for the new award. Hear the screenwriters nominated for Nordisk Film & TV Fond Prize tell the story behind their stories and discuss the art of writing. Participating are Mette M. Bølstad (Nobel), Margrét Örnólfsdóttir (Prisoners), Kaarina Hazard (Love & Order) and Jesper Harrie (The Bonus Family). TV Drama Vision collaborates with Drama Series Days in Berlin, Séries Mania in Paris and CineLink Drama in Sarajevo, thus covering most of Europe. Hear our collaborators talk about their region and their events. Meet Anna Croneman, the new Head of Drama for broadcaster SVT, get updated on what is happening in the region and Europe and see exclusive clips from upcoming series. TV Drama Vision is a seminar that brings you the latest international trends, the key people from the industry and inspiring talks and discussions. This year we digged into screenwriting as an art, the challenges and opportunities of writing drama series and the many factors that play a part in the development process. 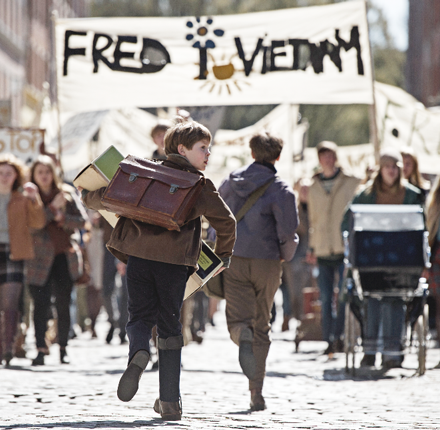 We also casted a spotlight on the drama landscape in neighbouring Finland and took a closer look at what is going on in Germany and on the international TV drama scene. Polly Williams – Head of Scripted Drama for eOne and Creative England Drama Venture, on developing content and collaborating internationally. 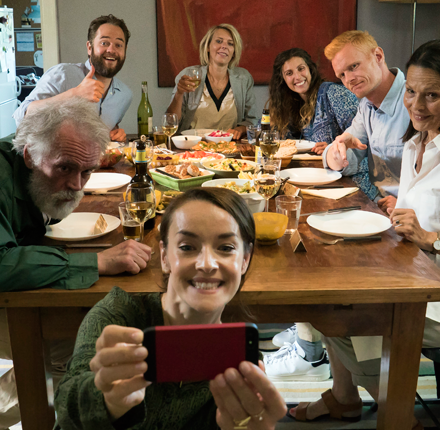 TV series with no expiration date: Tatjana Andersson, script editor at SVT, on the secret to what makes certain long-running series successful. Discussion on screenwriting in the Nordics with Nordic heads of drama: Piv Bernth (DR, Denmark), Ivar Køhn (NRK, Norway), Josefine Tengblad (TV4, Sweden). Robert Franke, Vice President of Drama at ZDF Enterprises, on ongoing collaboration with the Nordic region. 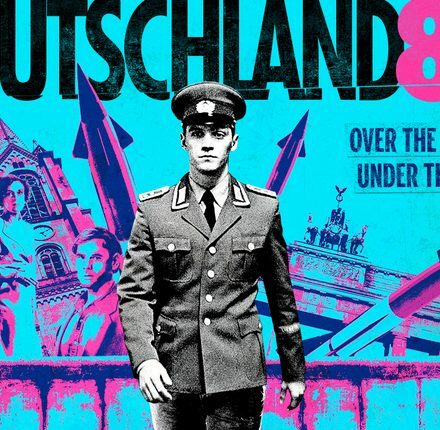 Screenwriter Anna Winger and producer Jörg Winger on creating the hyped spy drama Deutschland 83. Overview of the Finnish drama landscape, incl. 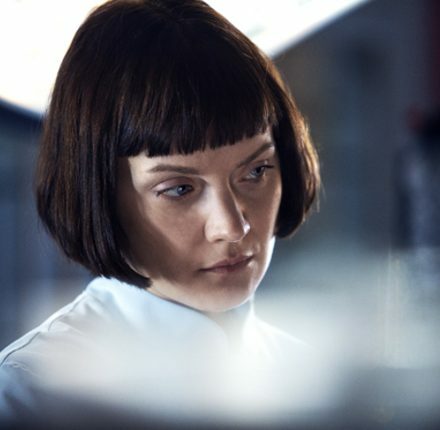 teasers of the most interesting series, by Liselott Forsman, Executive Producer of International Projects at YLE, followed by a discussion where she is joined by screenwriter Mikko Pöllä, Moskito, and producer Riina Hyytiä, Dionysos Film. 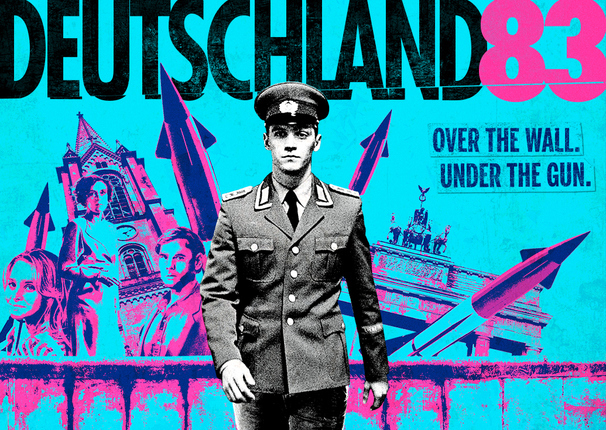 NSU German History X (ARD), Lola Upside-down (YLE), Midnight Sun (SVT and Canal+). Plus showcasing tens of upcoming drama series from the five Nordic countries. 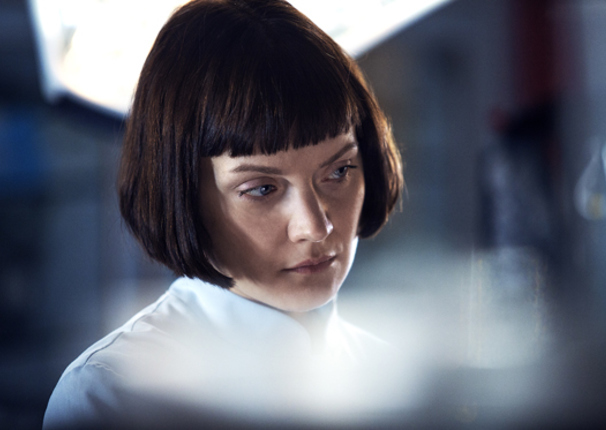 Film Väst, Drama Series Days at EFM, European TV Drama Series Lab and Moving Sweden: Short format tells us of their plans and the winners of the competition As It Is are selected. TV Drama Vision 2015 presented an inspiring line up of Nordic and international guests and panels, as well as presentations on new, exciting, upcoming projects and a comprehensive overview of what´s going on in the TV drama landscape in the Nordic region and beyond. 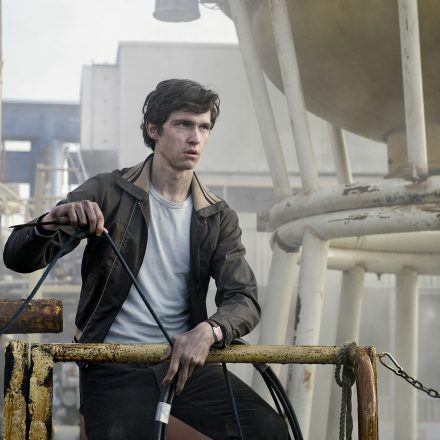 The production companies and the talent all over the world are moving from film to TV drama and in the Nordic region this brain-drain is clearly visible. Is this the case in the UK as well? Having won a Special Achievement award by BAFTA in 2007 for his contributions to British television as well as being nominated for an Academy Award for producing The Queen, Andy Harries, chief executive at Left Bank Pictures and producer of shows like “Wallander” (BBC) and “Outlander” (Starz), answered this and many other questions in a key note talk. The talk was followed by the panel TV is the new film – the brain-gain from film to TV drama. Panel participants: Andy Harries, Suzanne Glansborg, Film Commissioner TV Drama & International Co-productions, Swedish Film Institute, Liselott Forsman, Executive Producer of International Projects, YLE and Katrine Vogelsang, Head of Fiction, TV2 Denmark. Presented in collaboration with MediaXChange. What are the differences in writing for the small screen and the big screen? Renowned screen writer Tony Grisoni, co-writer of director Terry Gilliam (Fear and Loathing in Las Vegas, Brothers Grimm) and creator of award-winning TV series like ”Red Riding” and ”Southcliffe” for Channel Four, shared his knowledge in an in-depth interview about the building of the dramatic arc, the challenges of collaboration and what to consider when adapting a well-known book series for the small screen. Presented in collaboration with MediaXChange. Anne Kolbjørnsen, Head of Scripted at Rubicon, is currently overseeing productions like The Third Eye, Kasim Bæder and Maniac. Anne Kolbjørnsenhas previously worked for the two largest broadcasters in Norway, TV2 and pubcaster NRK, she has produced the daily drama series Hotel Caesar, and been head of human relations at NRK drama. In her talk she gave us an overview of the Norwegian TV drama landscape today, sneak peaks into Rubicon TV’s slate as well as an insight into collaborating with Netflix on the first Nordic drama originally produced for them, ”Lilyhammer”. In addition two works in progress from Norway were presented: Acquitted(Frikjent) and Occupied (Okkupert). Based on his own experience, and showcasing his latest transmedia productions, award-winning and Emmy-nominated producer Nuno Bernardo, founder and manager of beActive Entertainment, provided invaluable insights on how to create an effective cross-media funding and distribution plan that will engage audiences, generate revenues and create hit TV shows and series. In addition several upcoming Swedish transmedia projects were presented. Panel: Robert Lillhonga, director of ”Runners”, Johanna Koljonen, storyworld supervisor of ”Guided by Ghosts”, Domenico La Porta, transmedia expert,Wallimage. Presented in collaboration with Creative Europe Desk Sweden, Erich Pommer Institut and MediaXChange. The Unending Lust for Drama – Where Will It Go? 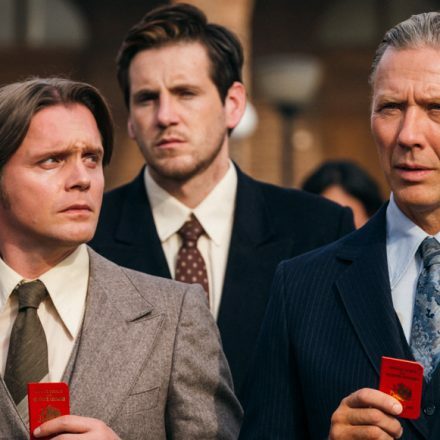 International TV drama right now is informed by just as much insecurity as assertiveness. Everyone seems to agree that scripted content, preferably local, is the recipe for future success. Nordic drama has up until now had great success compared to many other territories, but the volume of drama produced in the region has remained the same for the last years and the traditional drama producing broadcasters have limited slots for local TV drama. Now Nordic production companies are moving fast into TV drama, but where will this drama be screened and who will produce and fund it? Introduction by Göran Danasten, Project Manager, SVT. Panel participants: Ivar Køhn, Head of Drama, NRK, Helena Danielsson, Executive Producer, Brain Academy, Kjartan Thor Thordarson, CEO Saga Film Nordic. As works in progress we presented 1992, Sky Italia; Acquitted (Frikjent), TV2 Norway and Occupied (Okkupert), TV2 Norway. A case study of 100 Code, Kanal 5, was also presented. Read more about the works in progress here. Film i Väst Progresses Television Yaba Holst – Senior Executive Swedish Co-Productions and Anthony Muir – Senior Executive International Co-Productions, Film i Väst told us of their upcoming plans. 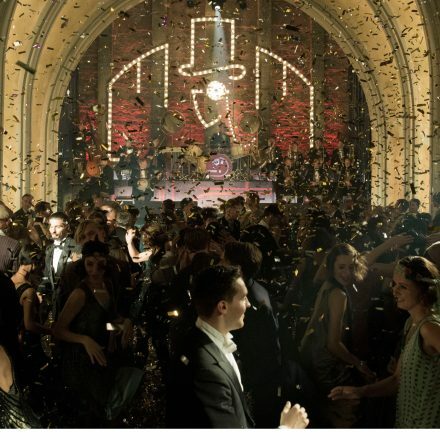 Drama Series Days Are Here Nikolaj Nikitin, Berlinale Festival Delegate, introduced the European Film Market/Berlinale Co-Production Market´s new high end Drama Series Days venture. Moving Sweden, Strong Stories in New Formats Helen Ahlsson, Film Commissioner Swedish Film Institute and Hanne Palmquist, Commissioning Editor Film & TV Drama, SVT, presented the initiative Moving Sweden. TV Drama Vision 2014 presented an inspiring line up of international guests, upcoming projects and a comprehensive overview of what´s going on in the drama landscape in the Nordic region. In our international outlook on Israel we were joined by keynote speakers Sara Johnson from Keshet UK and writer Yael Hedaya. Yael Hedaya and Sara Johnson have both been influential in the success and outreach of one Israeli TV drama success respectively. Sara Johnson told us about the remake and branding process of Prisoners of War (remade as Homeland by Showtime) and other TV-concepts exported by Keshet Media Group. In her session, we put Hedaya on the therapy couch and had her take us into the writing process of the ground-breaking format of BeTipul (remade as In Treatment by HBO). She told us how she developed her character Na’ama and gave us an understanding of what impact the series has had on the local society. In a joint discussion Johnson and Hedaya elaborated on how Israel caught the global attention of the TV drama world. Our international focus on Israel was supported by SVT and presented in collaboration with MediaXchange. Although it is the smallest country in the Nordic region, Iceland still manages to produce a number of very well-made, original and artistic films of high-quality. For this reason, Göteborg International Film Festival had a Scandinavian focus on Iceland this year. At TV Drama Vision, we explored how this applies to the tv drama world. Keynote speaker Magnus Vidar Sigurdsson, managing director at RVK Studios, is a prolific producer with more than 20 years of experience of producing movies, documentaries, non-scripted, comedy and TV drama series for various broadcasters, including BBC, ARTE and CANAL+. 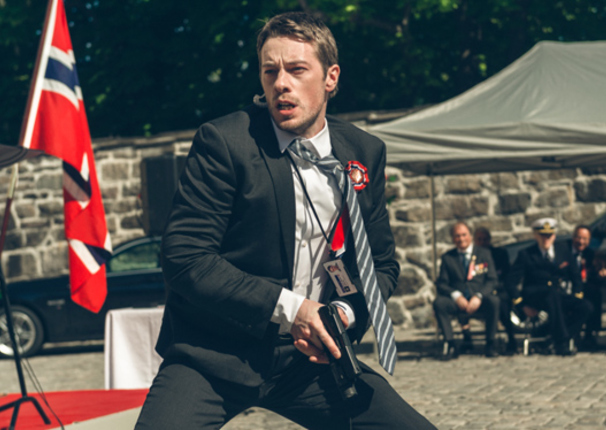 RVK Studios, set up by internationally acclaimed Icelandic director Baltasar Kormakúr (101 Reykjavik), the 2014 recipient of Göteborg Film Festival´s newly constituted Nordic Honorary Dragon Award, has several upcoming projects on their slate, amongst them the thriller series Trapped and First Degree. In his session, Sigurdsson showed us exclusive clips of RVK Studios upcoming projects, informed us of the challenges and advantages of producing TV drama in Iceland and told us about the trends in content and production in Icelandic TV drama. Presented in collaboration with Creative Europe Desk MEDIA, The Erich Pommer Institute and MediaXchange. What’s going on in the Nordic region? The phenomenal success of Nordic Noir is undeniable, the question is will it continue? Taking off with exclusive clips from the upcoming film Nordic Noir – The Documentary, this and other trends were discussed by the film’s producer Caroline Palmstierna (Shoot for the Moon), Liselott Forsman (Executive Producer of International Projects, YLE), Johanna Koljonen (journalist and writer), Ivar Køhn (Head of Drama, NRK) and Josefine Tengblad (Executive Producer Film & Drama, TV4). The shifting landscape in production and viewing was discussed by Martina Ternström (Business Development, Anagram Pocket) and Ragnhild Thorbech (SVP Acquisitions, HBO Nordic). We also heard familiar faces in new places talk about their visions for their new positions. They included Hanne Palmqvist (Commissioning Editor, SVT), Thomas Gammeltoft (CEO, Copenhagen Film Fund), Petri Kemppinen (CEO, Nordisk Film & TV Fond) and Ivar Køhn (Head of Drama, NRK). Finally, Jessica Ask, (Head of Production) and Anthony Muir, (Senior Executive International Co-Productions) from Film i Väst (the biggest funding body in the Nordic region) gave us a heads up regarding their further venturing into TV drama. In this section we presented two exclusive works in progress presentations; Greg Poehler’s comedy series Welcome to Sweden and Anders Banke’s cross-genre Chernobyl. Show creator, show runner, actor and executive producer Greg Poehler showed us clips and talked about his upcoming comedy series Welcome to Sweden in his work in progress session. In the series, based on his own life, Poehler plays an American who falls for a Swedish woman (Josephine Bornebusch) and moves to Sweden. Once in Sweden, he discovers the full quirkiness of Swedish traditions and family life…. 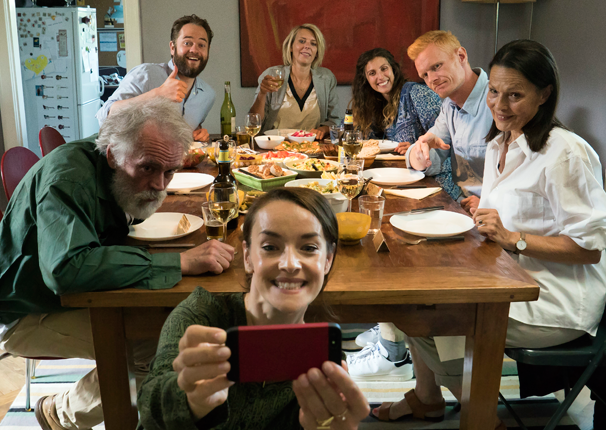 Welcome to Sweden, produced by FLX in co-production with TV4, Entertainment One and Syskon (the production company set up by Poehler and his sister, comedienne Amy Poehler) has already been sold to NBC, making it the first Swedish TV series ever to be sold directly to a big network channel in the US. The Swedish director Anders Banke took us to the underbelly of Russian society. 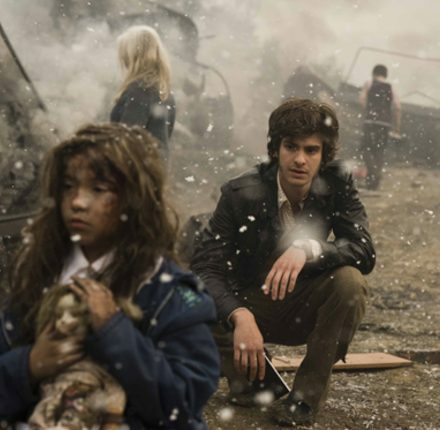 Chernobyl is a 16 part cross-genre (horror/black comedy/sci-fi) series produced for the Russian national TV channel TNT. Anders Banke talked about the process of finding derelict soviet-era shooting locations suitable to depict the darker sides of Russian society and his experience of working with TV drama in Russia. 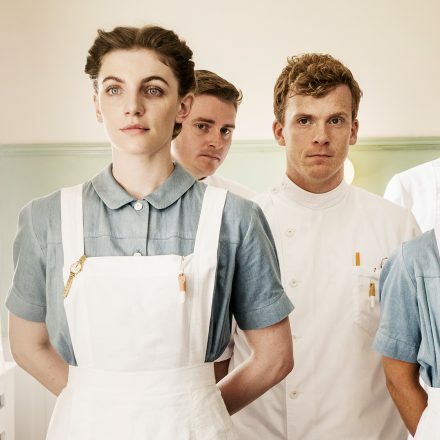 What do the top 25 UK and American drama series of all time have in common? John Yorke, newly appointed Managing Director of Company Pictures (“Wild At Heart”, “Skins”), shared his twenty years of experience which includes the commissioning of such shows as “Life on Mars” as BBC Vision’s Controller of Drama Production and New Talent, as well as his roles as Head of Drama for Channel 4, where he commissioned “Shameless”, and Founder and manager of the Writers Academy, developing new writing talent for both the BBC and the wider UK television drama industry.Presented in collaboration with The Erich Pommer Institute and Media Desk Sweden. Reknown French independent film production and distribution company Haut et Court are pioneers at bringing the feelings of indie films to TV in France. 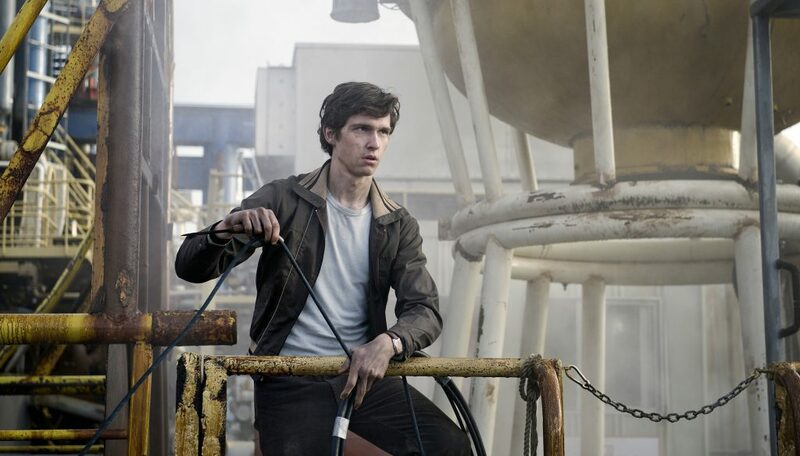 Jimmy Desmarais, producer at Haut et Court TV, had to cancel his visit last minute, so producer Caroline Benjo (via Skype) gave us an insight into the making of the fantasy drama “Rebound (Les Revenants)”, their first series for Canal Plus. Inspired by Robin Campillo’s film They Came Back, “Rebound” is set in a lakeside village in which long–dead locals mysteriously come back to life with no memory of what happened to them. SVT was at this time in the middle of sending the first season of the series (Swedish title “Gengångare”). Presented in collaboration with SVT. Following up on 2012’s theme of how Nordic TV drama travels, we dove into the current trends in content and viewership in Scandinavia. Johanna Koljonen, journalist and broadcaster, explored the trends while simultaneously following up on what happened to the trans media project “The Spiral” (presented at the seminar in 2012). We also presented three exciting projects in the making: “Exodus”, “Azaya” and “The Tales of Silverhöjd” (which went into production for SVT in the fall of 2014 and that according to plans will premiere in the spring of 2015). In the concluding panel we had Åsa Sjöberg, TV4, Jakob Bjur, Gothenburg University and Håkan Lindhé, Pocket Entertainment. 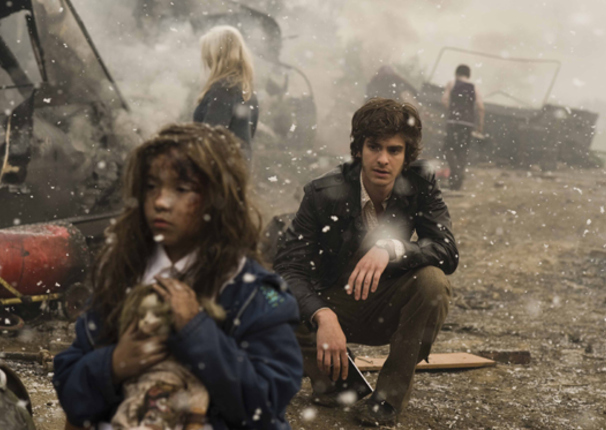 With the remake rights sold to Fox Television Studios, the popular Norwegian TV series “Dag” was at this point set to start its third season. In an exclusive case study, the team behind the series told us how they found the unique style of “Dag”. Presented in collaboration with SVT. In the at the time brand new Swedish film agreement, TV drama was for the first time eligible for support from the Swedish Film Institute. Representatives from the Scandinavian film institutes gave us an overview of how the TV drama support system works and has worked in their respective countries. ”Crimes of Passion” (TV4, Sweden) and ”Eyewitness” (NRK, Norway). 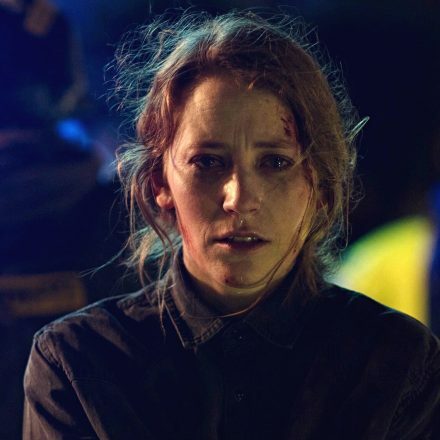 The internationally successful Danish crime series “Forbrydelsen” was remade into Emmy-nominated “The Killing” in the US. David Madden, President, and Nancy Cotton, Senior Vice President, of Fox Television Studios, talked about the remake process and the current huge interest for Nordic material and talent in the US. They also gave us a peek into how big networks in the United States work with developing, writing and producing. The talk was followed by a panel discussion on Nordic drama remakes where Madden and Cotton were joined by Piv Bernth, Creative Producer for “Forbrydelsen I–III”, DR, Lars Blomgren, Producer of Swedish–Danish “Bron”, Filmlance, Åsa Sjöberg, Director of Programmes, TV4 Group and Stefan Baron, Head of Drama, SVT. Presented in collaboration with TV4. After spending six weeks inside the “writers’ room” and interviewing 45 television writers, Patricia Phalen, Associate Professor at the School of Media & Public Affairs (George Washington University in Washington, DC), gave us a unique view into the harsh culture behind the scenes at the biggest TV series in the US. Belgian crossmedia pioneer Peter De Maegd, Producer, known for the transmedia series “Where is Gary?” and “Miss Homeless”, is back with his new project “The Artists”. Co-produced by six pubcasters from Northern Europe, this five-episode transmedia series is a massive production with multiple languages spoken. De Maegd was joined by the Swedish pro- ducer David Olsson, Acne. Presented in collaboration with The Erich Pommer Institute, SVT and Media Desk Sweden. 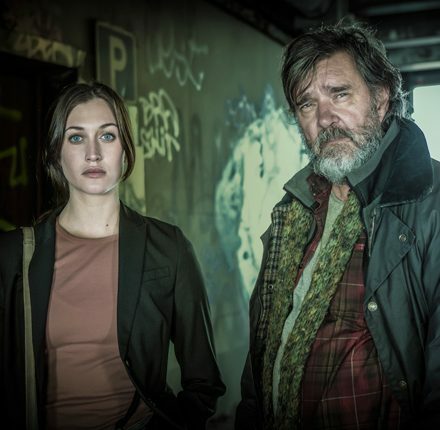 “Forbrydelsen III” (DR, Denmark), “Kontoret” (TV4, Sweden) and “Mammon” (NRK, Norway). The TV environment is facing a number of strategic challenges, especially when it comes to drama production. The strategy to win the viewers attention is implemented through web offerings, mobile apps, technological innovations in allocating video content and, of course, through engagement in social media networks. In order to be more independent from broadcasters’ financing, new partnerships are explored with some unique creative solutions. Stefano Semeria, world expert on transmedia content, guided us through the various concepts and gave us an insight into the different distribution channels through concrete examples. Nordic Visions & Who’s Watching? We invited some key people from the Nordic TV industry to share their thoughts and visions for the future of television. We also devoted time to the issue of the viewers – How have they changed their behaviours, what can we learn for the future and how do we measure and value the different platforms of today? First on stage, executive producer of The Event, Steve Stark, gave an on-stage interview and shared his experience of the development and marketing of the series as well as the concept of broadcasting it almost simultaneously in US and other parts of the world. “Inkognito” (TV4, Sweden), “Schmokk” (NRK, Norway) and “Anno 1790” (SVT, Sweden). 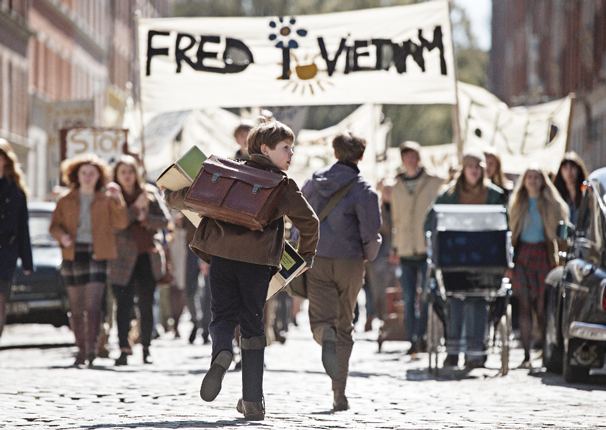 Our outlook was focused on new trends in international film and television drama. Which are the growing genres and what is new from the point of view of producers and broadcasters? Applying both an academic and an industry approach we also analyzed the winning concept of Nordic Crime and asked the question of how to continue that success and further develop the concept. Comedy heavyweight Armando Iannucci, (“The Thick of It”, “I´m Alan Partridge”, “Veep”) gave an on-stage interview on the interesting challenge of making people laugh about serious matters. Together with Nordic financiers and broadcasters we devoted time to the issue of public financing structures in the Nordic countries. Which are the advantages of the different Nordic financing systems? We will also listened to Stephen McDonogh, Head of Co-Production Funding for BBC Worldwide, view on international co-production funding and the difficulties faced when several countries are involved in a production. Changing viewers’ habits demand changing platforms and production conditions. Where are the viewers and how do we reach them? Current research from Europe and North America regarding quality drama and multi-platform content was presented by Mats Björkin, PhD, senior lecturer in film studies, and students at the University of Gothenburg. Rosie Allimonos, the multiplatform commissioning executive in drama and film at BBC Vision, gave her view on the trends and experiences in this field. A case study of the cross media project “The Truth about Marika” was also presented by SVT (the Swedish public broadcaster). How is a success story created? The legendary executive producer Sven Clausen from DR (the Danish public broadcaster) gave an account of the situation from which the “golden years” took off and described the strategies behind and the major steps in the working process of the series Taxi, Unit One (Rejseholdet/Mordkommisionen), Better Times (Krøniken) and The Protectors (Livvagterne). John Alexander (Australia/Sweden) – lecturer and media researcher with 30 years of experience in publishing, film, television and management and with a background at Stockholm University – talked about the differences between American and Nordic TV drama. What is typical for the Nordic television drama? Why does the US TV drama so often succeed internationally and how does it influence drama productions elsewhere? The lecture included observations and conclusions about the differences between the US and the Nordic countries regarding commerce, formula writing, storytelling and culture. How Does TV drama Find Its Audience? Why is it easier for some TV drama productions to reach its audience? How can the productions attract a bigger crowd and keep it? How big is the financial risk to produce domestic TV drama and why do some productions succeed internationally? Nordic TV drama executives discussed the difficulties and possibilities in reaching the audience with TV drama productions.  The Gothenburg-based visual effects company Filmgate – which has worked with international and Swedish productions such as the feature film “Arn” and the TV drama series “Upp till kamp (How Soon Is Now? 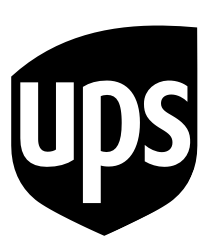 )” – presented their work in postproduction. What are the challenges in working with visual effects in drama productions? How do Filmgate use subtle effects to serve the narratives and the visual appearance of the productions? Representatives from Filmgate: Sean Wheelan, Producer, Andreas Hylander,Visual effects. Kate Harwood, head of series and serials in BBC drama productions, spoke about British home grown Drama production and how the strength of British TV Drama has to some extent forced film talent to either merge with Hollywood or to remain very independent and low budget. Presented in collaboration with MediaXchange. The first ever edition of TV Drama Vision, then called The TV Drama Day, presented case studies of local dramas and the new TV Fund at Film i Väst was introduced. A panel moderated by Petter Wallace, Head of Drama at Norwegian pubcaster NRK, discussed the possibilities and challenges of producing drama on a limited budget. Guests included producers and broadcasters from both pubcasters and commercial channels. A panel moderated by Eilenn Bastianelli, President at Lola Pictures, discussed online presence and audience behaviours. Guests included representatives from BBC New Media, NRK New Media Division and 1K. The TV Drama day was organized in co-operation with Katrina Wood, MediaXchange.